There’s some good news from the military enlisted singer-actor front after a week where K-ent was dominated by a genuine awful legal mess. 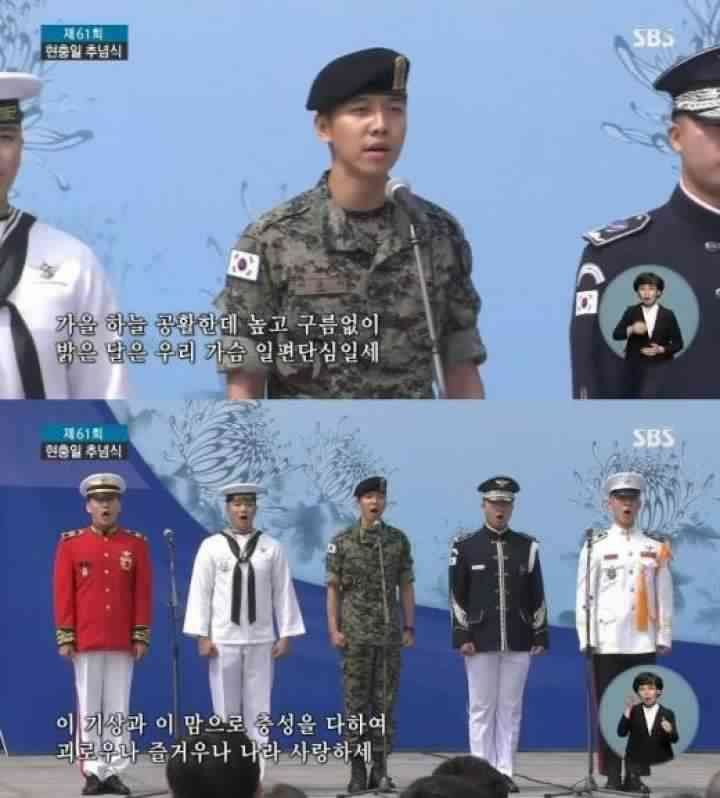 Enlisted soldier Lee Seung Gi has finished his training and is now serving in the army, and with it comes the army using Lee Seung Gi for additional needs beyond his man power. 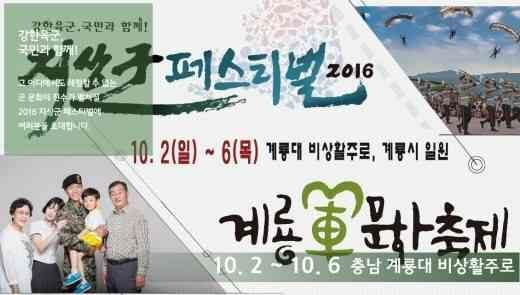 Lee Seung Gi is featured on the marketing publicity poster for the National Armed Forces, a smart move that also capitalizes on the recent upswing in sentiment towards the Korean military thanks to hit drama Descendants of the Sun. In that drama, Song Joong Ki’s male lead Captain Yoo Shi Jin is asked why he serves his country and his answer is to protect the elderly, kids, and woman, which makes this cover photo of soldier Lee Seung Gi surrounded by a woman, a kid, and the elderly all that more hilarious. And cute, very warm and fuzzy type of cute, exactly the image that Lee Seung Gi gives off anyways. Nice to see him representing and looking so upstanding in uniform. Captain Yoo Shi Jin would approve. I find LSG so charming like a brother or friend. He has this aura of comfort and contentment when you see him on screen. He never enters in my carnal mind like kang Dong Won do but that’s what LSG is great. A buddy for life. Love you Oppa. he looks very much thinner…in a good way! He’s great. I miss him. Glad he’s doing well in the army! I just hope the higher ups don’t force him to do a lot of promotional activities. He’s made it clear he didn’t want to do them, but he can’t exactly refuse. I love you please stay like this away from troubles you are remained as my fave actor and singer after some who give me shock bcz their actions please stay like this . LSG is good at singing, acting & variety shows. I particularly enjoy watching him in “Strong Heart”, hope he can do more hosting after he completes MS.
Seung Gi’s that person that makes me smile just by seeing him smiling. His smile is so contagious! 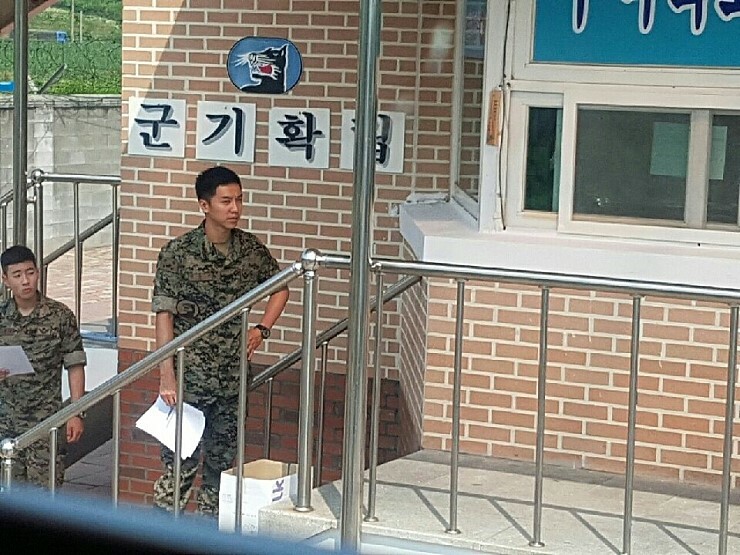 I believe his image is right next to Yoo Jae Suk in Korean’s eyes, as long as he finishes his service like this. I miss him in dramas and singing on stage, his voice is so honey-like. honestly, I rarely like his drama eventhough he is a good actor. But I loooveeee him on variety… he has a charming genuine smile and great attitude..
be healthy seung gi ya..
LSG is the best. LMH sux for skiing army. Lee Seung Gi has that boy next door charm and gives off a very easy going vibe. I think people find him very relatable or down-to-earth, even though he’s a celebrity, because he is charming, genuine and humble which is probably why girls want to date him and mother’s want him for a son-in-law. I can’t wait to see where his career goes after he finishes his military service.